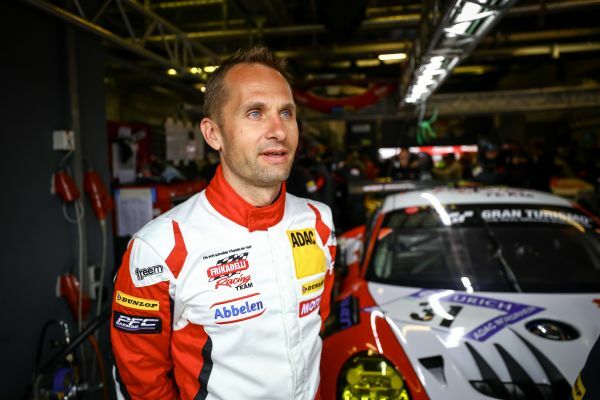 Marco Seefried drove a Porsche 911 GT3 R for Frikadelli Racing at the legendary 24 Hours of the Nürburgring. After a strong qualifying and a good first half, the squad had to give up the race during the night because of several incidents. The 24 Hour race at the Nürburgring-Nordschleife is unpredictable, something that Marco Seefried came up against in the 46th edition of the endurance classic. Despite a good qualifying start from position three and hopes raised for a top result, a lot went wrong during the race. “Somehow it wasn’t meant to be”, Seefried summed up. The team corrected the pressure of the next tyre set and Seefried handed the car over to team mate Norbert Siedler, who unfortunately also had to cope with unexpected problems. First he had a clash with a weaker BMW during lapping and the team had to repair the car. The next incident followed shortly after, when a communication misunderstanding caused Siedler to recognize a Code 60 zone too late and he had to drive onto the grass to avoid colliding with slower cars. After that, the air intakes were so blocked, he was forced to pull up on the track and clean up the mishap. This made the Porsche #31 then fall back considerably. After nightfall, the #31 driver crew could gain ground. “Things were going much better than at the beginning. The car was definitely running more smoothly and balance was good again. Although there were a few Code 60 phases, it was fun driving”, said the stalwart, who was satisfied at this point. A few hours later, the big disappointment occurred: team mate Mathieu Jaminet radioed loss of speed and stranded in the area between Aremberg and Fuchsröhre. Mechanics rushed to the scene and diagnosed transmission damage, after which the team decided to remove the car from the race. “Of course, that’s incredibly disappointing. Considering race progress, you can work out what would have been possible without all the problems, but that’s the way things are in endurance racing, especially here on the Nordschleife. I am however very happy about our sister car #30’s 11th place – a good result”, the Porsche driver remarked. Endurance specialist Seefried is back on track again from 20 to 22 May, this time in Silverstone for the second race of the Blancpain Endurance Series.